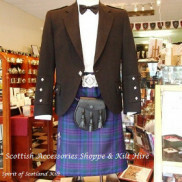 Scottish Accessories Shoppe & Kilt Hire commenced hiring kilt outfits in 2012, after many requests from customers for an alternative service. 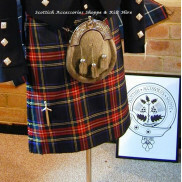 All our kilts are 8 yard medium weight traditional kilts & were made from the same bolts of fabric by our Scottish Qualifications Authority Certified kiltmaker thus ensuring continuity of colour, quality & the standard for which we are known. 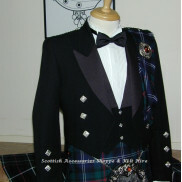 Our Jackets are in a Braemar style and made from fabric imported from the UK and manufactured here in Australia. 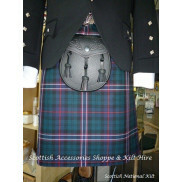 All of the accessories we offer with our outfits are sourced from Scottlish manufacturers. Children's kilties are being added to the range in 2014.